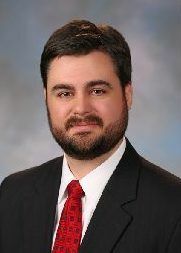 Stephen M. Robertson serves as the Executive Vice President of the Permian Basin Petroleum Association. In 2003 Mr. Robertson joined the industry’s workforce and prior to joining the PBPA, practiced law in Midland with a heavy work load in oil & gas title work. He holds a Bachelor of Arts Degree in Government from the University of Texas at Austin, and a Doctorate in Jurisprudence from Texas Tech University School of Law, where he earned a Certificate of Law and Science in Oil and Gas. Mr. Robertson currently serves on the boards of Centers for Children and Families and the Midland Chapter of the Texas Exes. He also enjoys volunteering as a coach for Upward Basketball through First Presbyterian Church of Midland. His greatest joy, however, is raising his two children with his wife Leah.